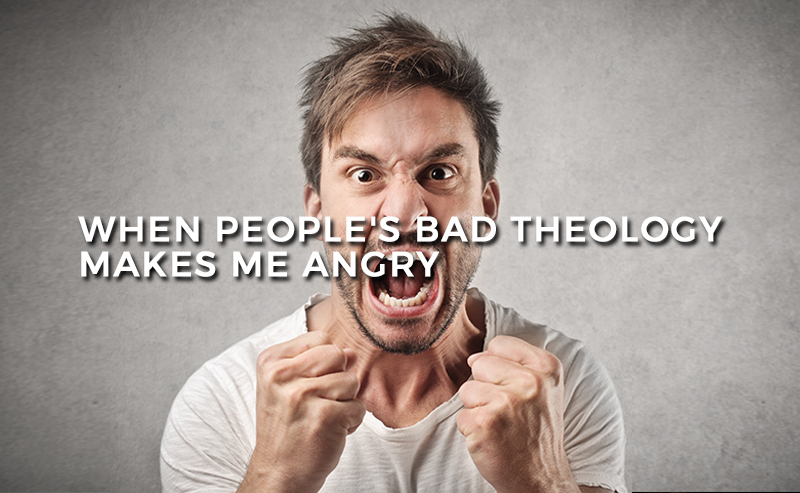 HOW SHOULD CHRISTIANS HANDLE BAD THEOLOGY? Should we be gentle? Or should we be bold? Let us consult God’s Word. 4 For the weapons of our warfare are not of the flesh but have divine power to destroy strongholds. 5 We destroy arguments and every lofty opinion raised against the knowledge of God, and take every thought captive to obey Christ. Now some of you may say, “But doesn’t Scripture command us to correct our opponents with gentleness?” Let us consult God’s Word again. 24 And the Lord’s servant must not be quarrelsome but kind to everyone, able to teach, patiently enduring evil, 25 correcting his opponents with gentleness. God may perhaps grant them repentance leading to a knowledge of the truth, 26 and they may come to their senses and escape from the snare of the devil, after being captured by him to do his will. One passage commands us to “destroy arguments” and “take every [wrong] thought captive”, whereas the other passage tells us to be “kind to everyone” and “correct our opponents with gentleness”. So which one is it? Should we utterly destroy? Or should we be gentle and soft? The answer is BOTH. We must recognize that there is a vital distinction between these two passages of Scripture. 2 Corinthians 10:4-5 deals with how Christians should confront WRONG VIEWS, but 2 Timothy 2:24-26 deals with how Christians should confront WRONG PEOPLE. 1) Many Christians are far too “gentle” when it comes to bad theology. They patiently tolerate ignorant people, but they go one step further by tolerating ignorance itself. In their cowardly pride, they have quietly resolved to never outright say that one doctrine is actually more true than another. 2) Many other Christians are far too “destructive” when it comes to the people who hold bad theology. Instead of shooting holes in their ship (unbiblical theology) so that it begins to sink and lovingly providing a new ship (biblical theology) for them to climb aboard, they sometimes actually shoot holes in the person themselves. It’s important that we remember that not everyone who holds bad theology is a false teacher (a wolf), most are simply confused Christians (immature sheep). Download our FREE APP to enjoy easy access to our gospel-centered content.